Stem cell therapy and platelet-rich plasma (PRP) can help you recover from joint pain, chronic pain, and sports injuries without the hassle and risks associated with steroid injections, pain medications, or surgery.  At PRP in Philadelphia, Stuart A. Kauffman, DO, specializes in the use of stem cells and PRP for joint problems, arthritis, and issues with muscles, ligaments, and tendons. Dr. Kauffman offers these personalized treatments for patients in Huntingdon Valley, Pennsylvania, and the greater Philadelphia area. To learn more, call the office or book a consultation online today. When stem cells are combined with PRP treatments, your body can heal and repair damaged tissues more quickly than normal. In an injured state, your body produces inflammatory chemicals that can trigger healing but also cause pain and swelling. Stem cells and PRP can reduce the negative effects of inflammation, especially if you’re dealing with chronic pain or injuries, and trigger faster healing on a cellular level. What are the benefits of stem cell treatments? Together, stem cells and PRP offer a natural alternative to steroid injections, opioid medications, and surgeries for pain relief and injury repair. Dr. Kauffman uses stem cells collected from your bone marrow along with your own blood platelets to eliminate the risk of cross-contamination, immune response, or infection. Stem cells and PRP also provide permanent results since they induce healing on a cellular level. Steroid injections and medications may reduce inflammation or decrease pain, but they don’t heal damaged tissues. Surgeries also present the risk of complications from anesthesia, infections, pain medications, and antibiotics, along with the need for a lengthy recovery period. Dr. Kauffman also recommends stem cells and PRP treatments since they are minimally invasive, allowing you to return to your normal activities the same day. What can I expect during a stem cell treatment? Stem cell and PRP treatments can usually be completed in one or two office visits. Dr. Kauffman first collects and processes your tissue samples — either stem cells from bone marrow or plasma from your blood. He then uses ultrasound technology to guide injections of these cells into the treatment site. The injections generally take less than 10 minutes. You may experience mild redness or soreness at the treatment site for a couple of days. Dr. Kauffman may recommend multiple treatments, if appropriate. To learn if stem cells and platelet-rich plasma can help you, call PRP in Philadelphia or book a consultation online today.